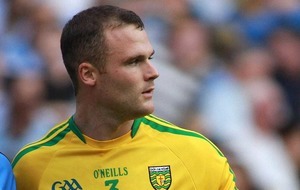 DONEGAL will be minus their talismanic full-back Neil McGee for Saturday week’s Ulster semi-final clash with Monaghan. 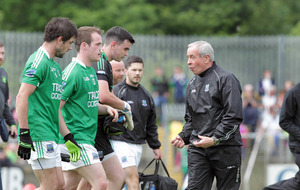 McGee’s forearm smash felled Ruairi Corrigan and gave Fermanagh a penalty on the cusp of half-time in Sunday’s quarter-final. 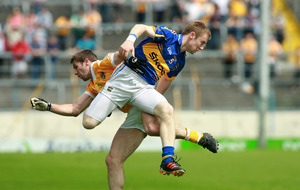 Luckily for Donegal and their Fermanagh-born boss Rory Gallagher, Mark Anthony McGinley made a brilliant save from Sean Quigley. 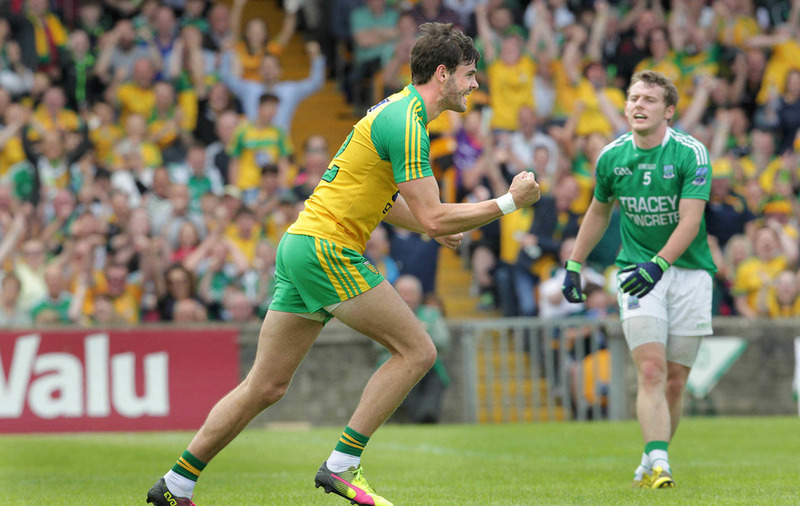 That super save saw 14-man Donegal take a two-point lead into the second half having owned the first quarter against Peter McGrath’s men. 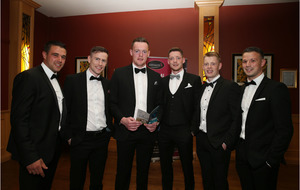 A delighted and relieved Gallagher initially said Donegal would be taking a look at the video evidence of the red card, but Maurice Deegan got the decision spot on: "If Neil is gone he is gone so we will just have to move on,” said Gallagher after watching his side use their experience to take control of the game in the second half and run out seven-point winners. Gallagher saluted his team’s comprehensive victory over a potentially tricky opponent: “We had a great second half display and I also thought that we started very well too and apart from a few wrong options, I thought we were the better team by far in the first-half. 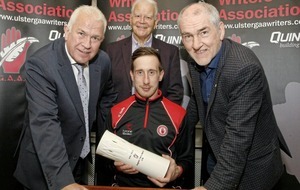 Gallagher continued: “As for the penalty, Mark Anthony McGinley produced the goods and we knew that Sean Quigley is an ace penalty kicker and we did a bit of work on which side he would go for and fair play to Mark he showed some great instinct. 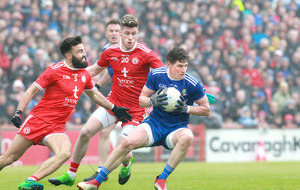 And when asked about why Donegal seemed to wilt in the second quarter, he preferred to salute the quality of his native county: “It is not taking the foot off the pedal, but Fermanagh are a very good side and are very strong in the middle of the park and we had a few wee issues ourselves with regard to fitness. 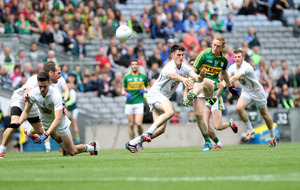 And when Tomas Corrigan pointed to leave Donegal leading by just a point at 1-6 to 0-8, the Tir Chonaill lads really walked tall with the second wonder goal finished by Odhran Mac Niallais: “We have some very good players who showed some great intricate handpassing and both goals were very well-executed. “And I thought our workrate was very good after half time and I thought we were the better side for long periods. 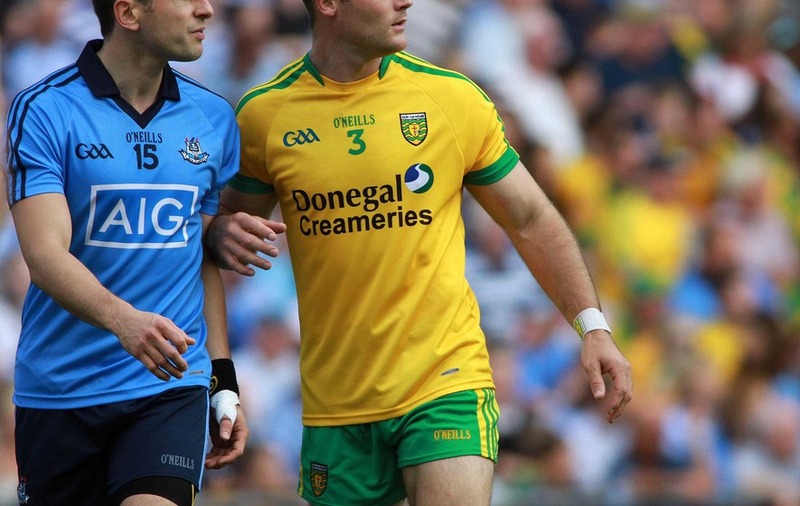 “When we got the second goal it was a really good cushion and we made a decision to just get out of here and not to leave too many gaps at the back.’’ Gallagher (pictured) agreed that it had looked challenging for 14- man Donegal at the start of the second half.